The funniest movie (and biggest surprise) of the year, hands down. Business as usual for Chan-wook Park’s first English language film. Jeff Nichols is 3-for-3 in my book. This is his most likable film yet. This ambitious, sprawling epic is one film I won’t be forgetting anytime soon. Could it be anything else? It’s so great to see Celine and Jesse once again, warts and all. Only listing this at #5 since it is a port of a 2012 title, but this ultra-violent game is even more addictive on the Vita. 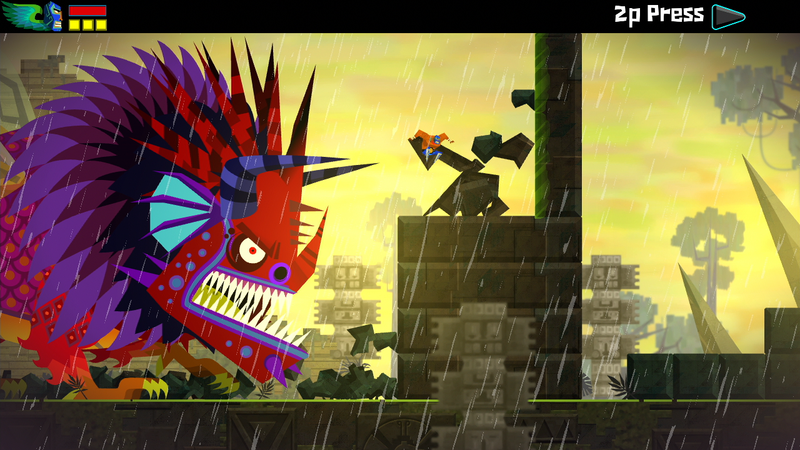 A Metroidvania Lucha Libre-themed adventure from the makers of Tales From Space: Mutant Blobs Attack — it’s as good as it sounds. I was never excited about the Tomb Raider series before, but this reboot hit all the right notes. I got goosebumps the first time I stepped foot on the city in the clouds, Columbia, and the experience never let up from there. Has there been a more immersive atmosphere in a video game? This will serve as a gaming benchmark for years to come. Mud and The Place Beyond the Pines are easily in my top 3. Great post! Nice list. My pick for the best movie of 2013 would be Before Midnight as well and Mud and This Is The End are also be in my top five thus far. Thanks! It’s going to take something special to top Before Midnight. Will be interesting to see how the rest of the year plays out. Good stuff. Mud for me so far. Before Midnight may be my biggest disappointment of the year (even though I really liked it). Haha — I noticed the heavy emphasis on Playstation when I was putting this list together, too. Purely coincidental, though I do find it interesting since the 360 is usually my go-to system. Major props to Sony for getting some high quality exclusives lately. Great post, lots of great films, games, and music listed. I’ve been enjoying playing The Last of Us, its a really good game, brilliant story and graphics. Before Midnight and Mud were really good as well. Thanks! Glad to hear we’re in agreement on a lot of these. I really need to play through The Last of Us again, this time on survival mode. Such a brilliant game. All films I want to see and yet to see! Hoping to get round to them soon. Not many cinema releases have jumped out at me so far this year. That’s a bit sad! 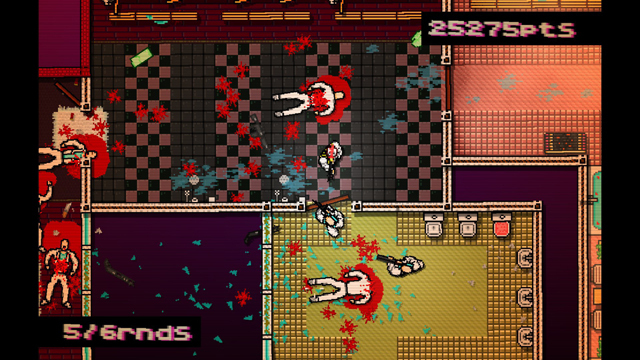 Have heard great things about Hotline Miami. I need to get on one of those humble bundles! Jaina, I know exactly what you mean about lack of gripping cinema releases. I have found solace in the local indie theater — I have avoided most of the major blockbusters so far. Hotline Miami is terrific! I know it was on a Humble Indie Bundle recently, but it does go on sale regularly. I’ve seen it going for $5 or less. Wouldn’t be surprised if there was another sale when the sequel is released later this year. Some great choices here Eric. Before Midnight is my favourite film of the year too and I bloody lived The Last of Us. I finished it a couple of days ago and I just didn’t want it to end. As for music I’m glad you’ve given Random Access Memories some love. It’s taken some flak but I like it. Sounds like we are mostly in agreement then — cool! I know that Daft Punk album has spurned some fans, but I love it. “Get Lucky” is the song of the summer, and “Giorgio by Moroder” is pure genius. Nice! Are you going to do a halfway “best of” list? I don’t do video games as I don’t really play them nor own any game consoles. In films, here’s my list of 2013 film releases that I’ve seen so far. In music, here’s that list. Cool, thanks for the links! I will check them out soon. I tried to leave a comment on your music list, but it wouldn’t let me post via my WordPress account. Had that problem on other Blogger blogs, too. Anyway, damn good list. It has been a great year for music. I haven’t seen Mud but Stoker, Before Midnight + This is the end are my 5th, 7th and 8th favourite respectively, with the Place Beyond the Pines at 10th! Great picks! Do you have your “best of” list anywhere? Great catches on your top five films! ‘The Last of Us’ looks like a blending of Sy~Fy’s ‘Defiance’ and a huge dose of the mood and claustrophobia of Romero’s ‘The Night of the Living Dead’ on a much larger and grittier scale. Hi Jack, interesting that you point out Defiance. I’ve heard great things about the video game based on that show and would love to pick it up at some point. 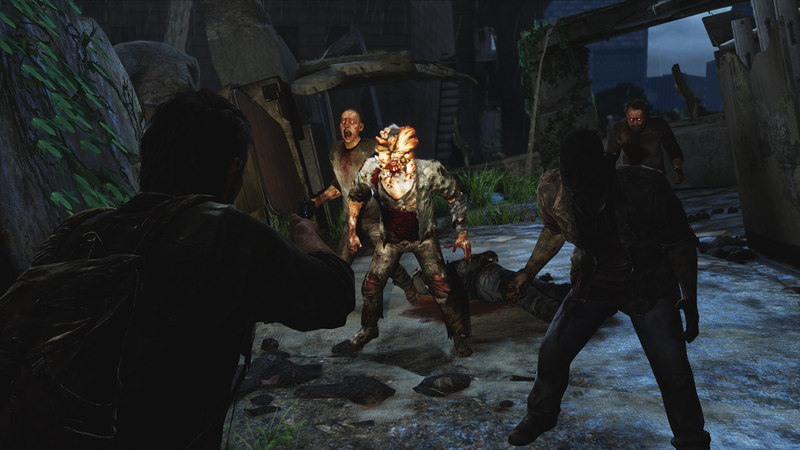 As for The Last of Us, good call on the Romero influence! It has shades of his films, and the writing is heavily influenced by Cormac McCarthy. It’s a hell of a game. Have you had a chance to see Frances Ha? I heard it’s really good. Nice pick from Boards of Canada album ! Heh, the only film I have seen from your list is TPBTP. Been meaning to see The Hunt though — heard nothing but great things about that. I haven’t had the chance to see Frances Ha yet. It’s looking like I’ll have to wait for the DVD. Nice to see some love for Kanye. I know a lot of people didn’t give it a chance because it was so different, but personally I think it is a great album. I play it more than I do Magna Carta. Yeah, Yeezus seems to be a pretty divisive album. I haven’t heard Magna Carta yet, but I’ve never been a huge Jay-Z fan. 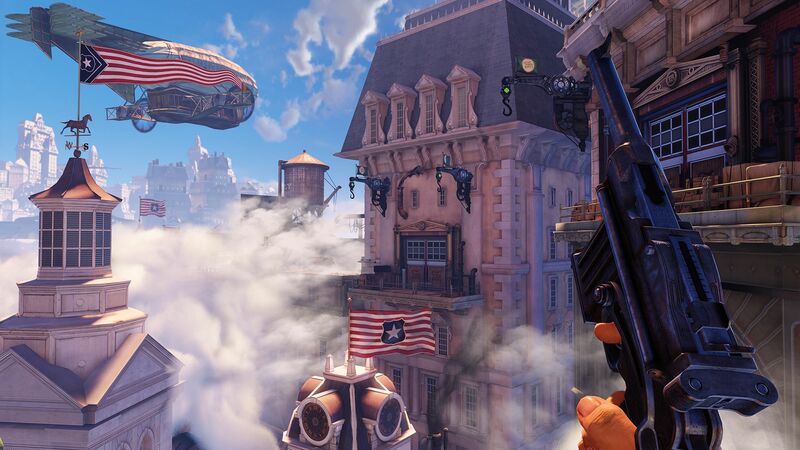 I’ve started a second playthrough of Bioshock Infinite — it’s so good. Really need to write up a full proper review on it. Nice list here buddy. The more I think about Pines, the more I’m drawn to it. I really can’t wait to watch it for a third time. Loved that damn movie. Thanks man. I would like to revisit Pines sometime soon as well. I really need to catch up on my 2013 movies, Before Midnight is the only one I’ve seen so far on that list.. spent most of this year catching up on stuff I should have saw years ago (Just watched Traffic and Dark City last night for example…) All the rest of this list is going (or was already) going on my list though. Nice! Yeah, I am still playing major catchup when it comes to a lot of films. If I didn’t have my project, I don’t know if I would ever make any real progress.